Does Google Look At State Or City Level Hosting Location? Home > Google News > Google SEO > Google Rank Sites In California Better? No! Google Rank Sites In California Better? No! We know Google does look at where you host your site. But how deeply do they look at the server location? We know Google looks to see if your site is hosted in the United States versus France. We know Google uses hosting location as one of the many factors for understanding which local version of Google should your site rank in. I.e. they want sites that are specific to French users to rank higher in Google France than Google.com. But does Google look at which state or city your site is hosted in? I noticed all the big sites like Google, Amazon, Facebook etc are all on California based IP addresses. 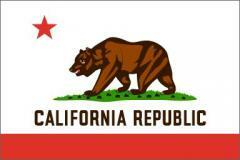 Does the California IP address have a weight on search rankings at all? Or if I switch IP addresses, will my rankings be deprecated at all? I never thought of that, really! Of course, the answer is no - Google doesn't care if you host your site in California versus Texas versus New York. I think some of the big sites just have California IP addresses because that's where they started :-). I wouldn't worry about sub-country level hosting location, unless there are important latency issues that you need to address for your users. Search engines generally won't look at your site's IP address in that granular of a way. If you want to let us (and users :-)) know about the location of your business, you can do that through a Google Places listing and by including your address and phone numbers on your website.